Install a 96% AFUE furnace and a high-efficiency central air conditioner. Up to $1,575 more savings with manufacturer’s rebate and energy companies’ rebates. Air conditioning, once a luxury in Minnesota, is now a necessity. Our hot, humid summers mean that staying comfortable in our homes and commercial property requires adequate cooling. Today’s air conditioning equipment is affordable, efficient, and reliable, but choosing high-quality products is the key to efficient, long-lasting performance. Choosing a company to supply and install that equipment is equally important. Residential Heating and Air Conditioning, the parent company of Twin Cities Duct Cleaning, has over 25 years of exceptional service to its customers, with great success in meeting the needs of over 35,000 satisfied customers. Whether you need an efficient cooling solution for a new home or need to replace a balky, inefficient older unit, you can rely on the quality products and expert installation services from our company, a Carrier Factory Authorized Dealer in Minnesota. Carrier Central Air Conditioners – Superb quality, efficiency, reliability, and quiet operation are built into every model. From the low-cost Base line of systems to the high-efficiency Infinity series, there’s a model to match every residential application. As a leading Twin Cities AC contractor, we can help you choose the ideal model to provide adequate cooling, and get it installed in no time. Carrier Heat Pumps – Combining air conditioning and efficient heating during mild weather, heat pumps are a great solution for many Minnesota homes. Operating as a high-efficiency air conditioner in the summer, these air-source heat pumps also provide heat during the mild cool days of fall and spring. When winter comes, your forced-air gas furnace takes over. 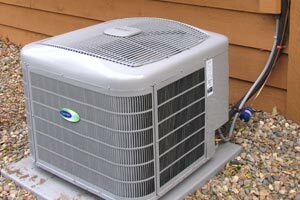 Goodman Central Air Conditioners – The Goodman name is synonymous with quality, performance and efficiency. From their low-price line of central air conditioners to the super quiet, highly efficient split air conditioners, we can help you match a Goodman air conditioning system to your exact needs, keeping your home cool and comfortable, regardless of the outside conditions. Carrier Ductless Mini-Split Air Conditioners – For homes that don’t have central forced-air ductwork, such as homes that use hot water for heating, our Minnesota heating and cooling company is proud to offer the Carrier line of mini-split ductless AC and heat pump systems. Duct-free, they allow individual control of room temperatures, are exceptionally quiet, and are the perfect replacement for noisy, inefficient window units. These ductless air conditioners are easy to install and can cool up to 8 rooms or zones with a remote control. More and more Twin Cities homeowners are choosing this new technology to make their summer season more enjoyable. There’s a ductless model that’s perfect for your home, and we are your best choice to supply and install a ductless AC at an affordable price. Installing a new central air conditioner is a big investment. 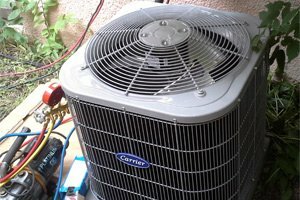 The price of a new AC is a big factor in deciding which brand and model to choose. 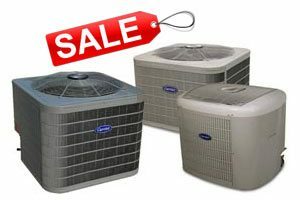 The total cost of installing a new air conditioner includes the price of the equipment and the cost of the installation. During our in-home or on-site consultation, we will be able to determine accurately how much your new air conditioner costs. We will present you an accurate price quote, with no hidden costs or surprises. Unlike many Twin Cities HVAC contractors who just want to sell you the most expensive model, we present you a range of options and let you decide which model matches your requirements and budget. As the leading Carrier dealer in Minneapolis St. Paul, we serve homeowners across the seven-county metro, from Brooklyn Park, Fridley, New Brighton and Roseville to Savage, Burnsville, Apple Valley and Eagan, and from St. Louis Park, Plymouth, Edina and Maple Grove to Woodbury, White Bear Lake, Cottage Grove and Mendota Heights. We receive volume discounts from manufacturers and suppliers. We pass our savings on to our customers by offering the lowest prices for new equipment. We also help our customers take advantage of the current discounts and rebates offered by manufacturers and energy companies, including Carrier, CenterPoint Energy and Xcel Energy. In our 25 years of service to the Minneapolis St. Paul Metro Area, our company has built a list of over 35,000 satisfied customers. Our reputation for quality, professionalism and customer service has earned us awards year after year. 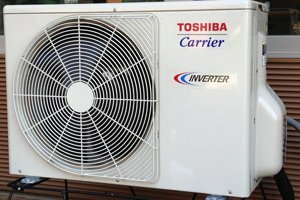 If you’re in the market for a new or replacement central or ductless air conditioner, make us the first company you call.